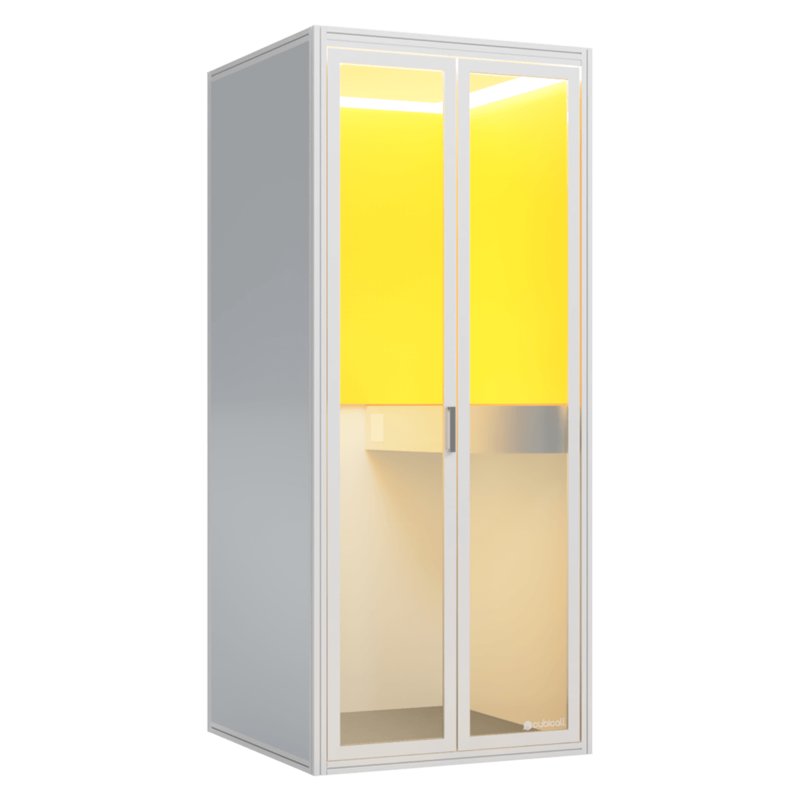 Our space saving, patent-pending design allows Cubicall to fit into offices where every inch of space is critical and helps more businesses comply with International Building Codes. 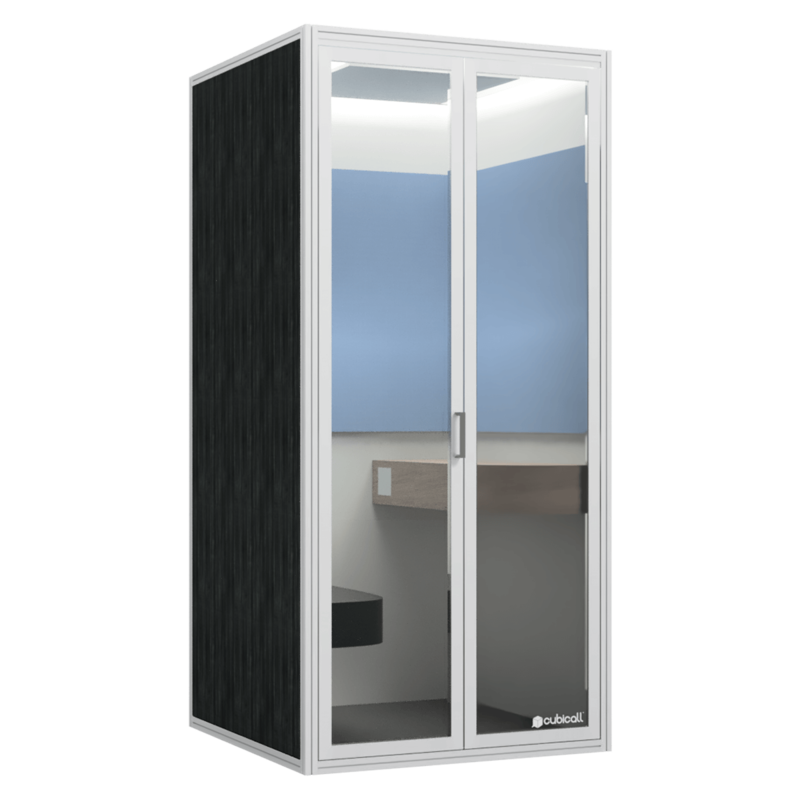 Our patent-pending design utilizes a bifold door, efficiently maximizing space in confined offices. Swinging doors necessitate larger areas for clearance, increasing the booth's required footprint. 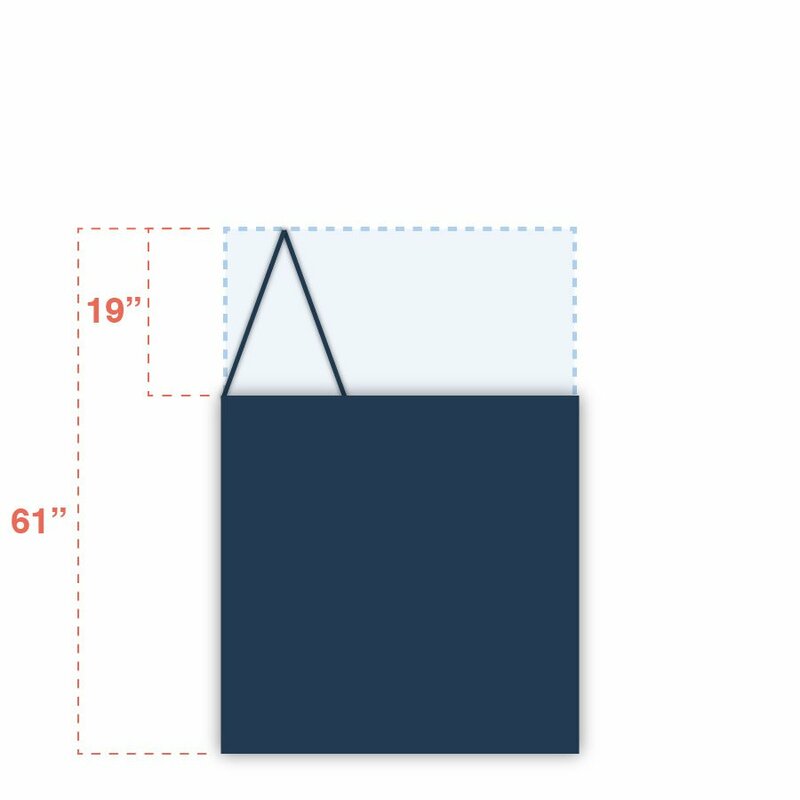 Our bifold door reduces this footprint by more than 50%! Use the the slider to compare required footprints for phone booth door clearances. 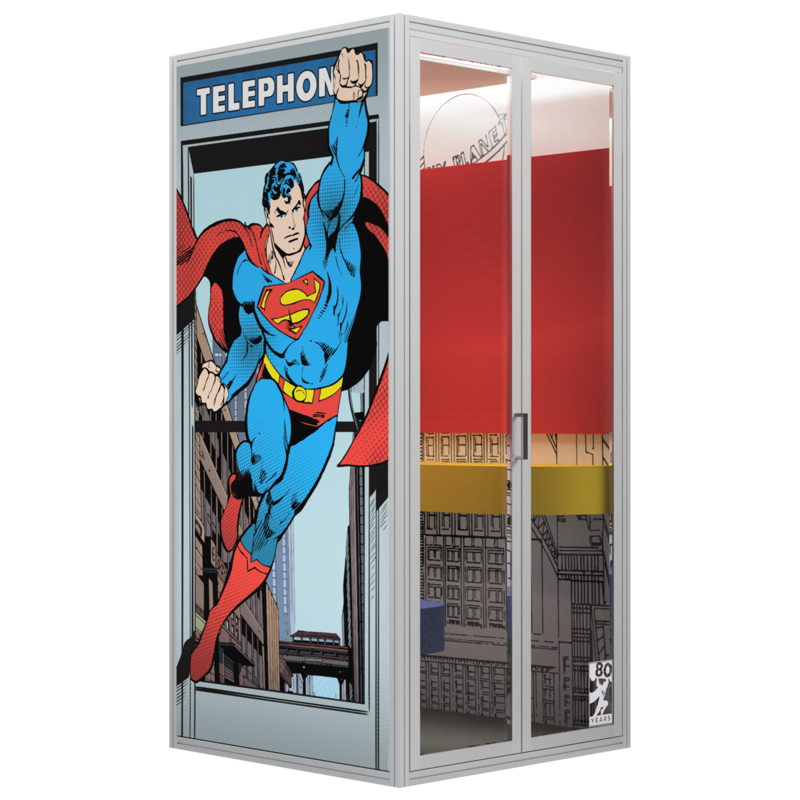 Planning on installing phone booths within a hallway, corridor, or a space that could be calculated as an area for movement? It's important to comply with building codes and regulations. The International Building Code 1005.7.1 states "Doors, when fully opened shall not reduce the required width by more than 7 inches. Doors in any position shall not reduce the required width by more than one-half." 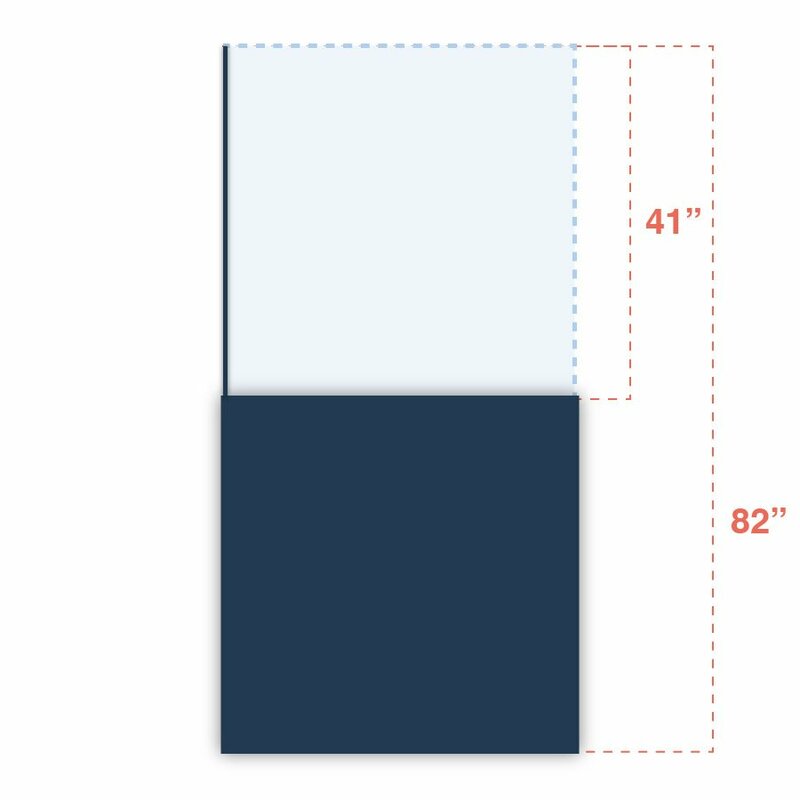 Typical required width for means of egress is 44 inches*. Thus, when phone booth doors are open, a clearance of 37 inches is required. The bifold door's shorter encroachment allows Cubicall to fit in more office corridors by complying with international building codes. 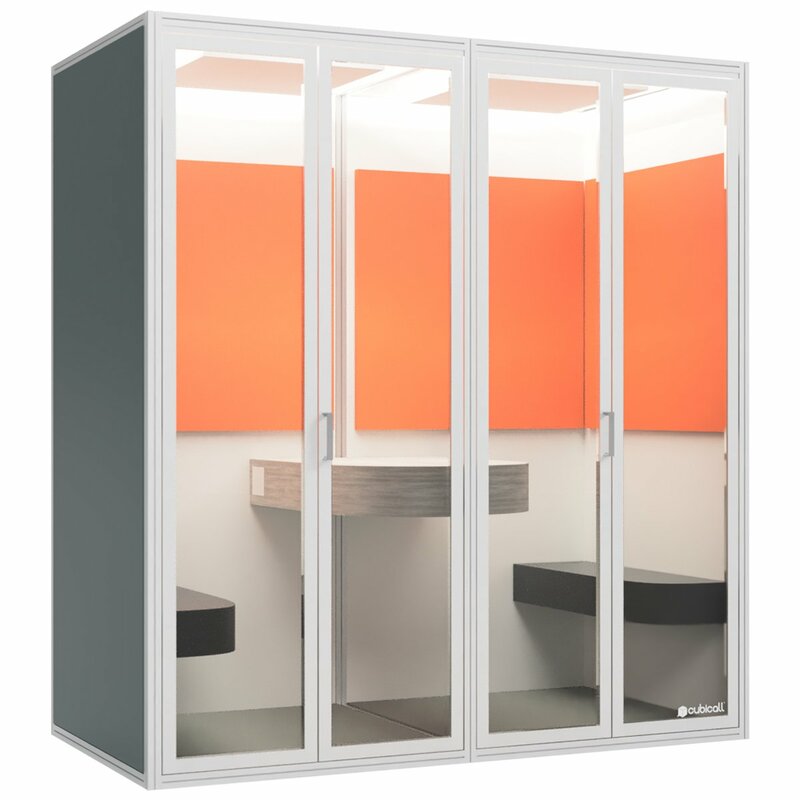 Cubicall can justly fit within a hallway or corridor that is 98 inches wide. A swinging door would require a width of 119 inches. 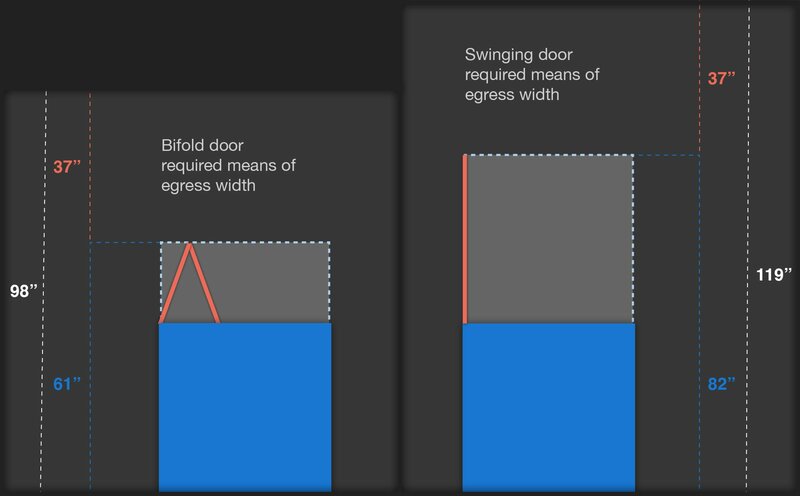 *Required width for means of egress is dependent upon building type. Many offices fall within 44 inches. It's recommended that you reference and analyze your local building codes and regulations. A customizable and efficient solution for everyone.